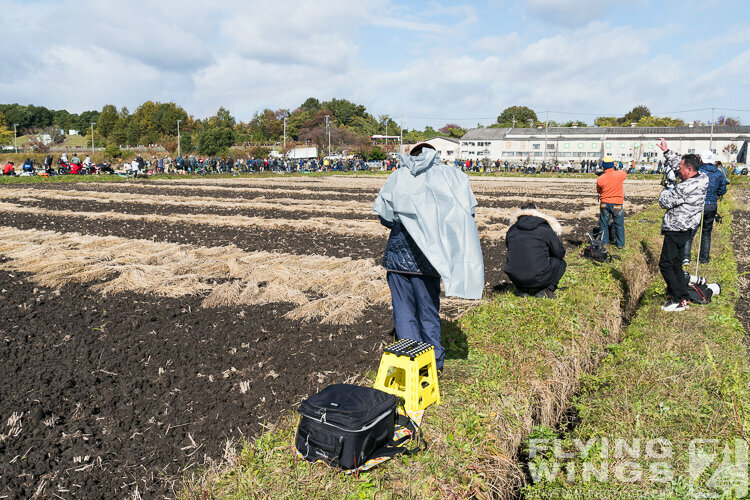 Back in 1917 Kakamigahara airfield was used as an army airfield and a airship landing site. 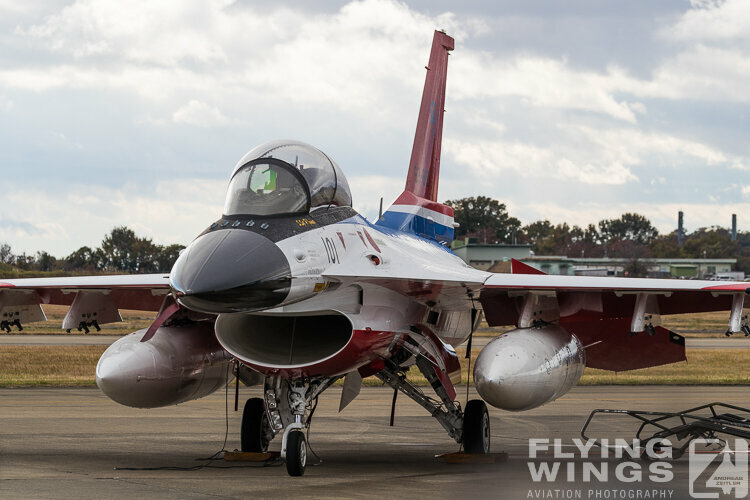 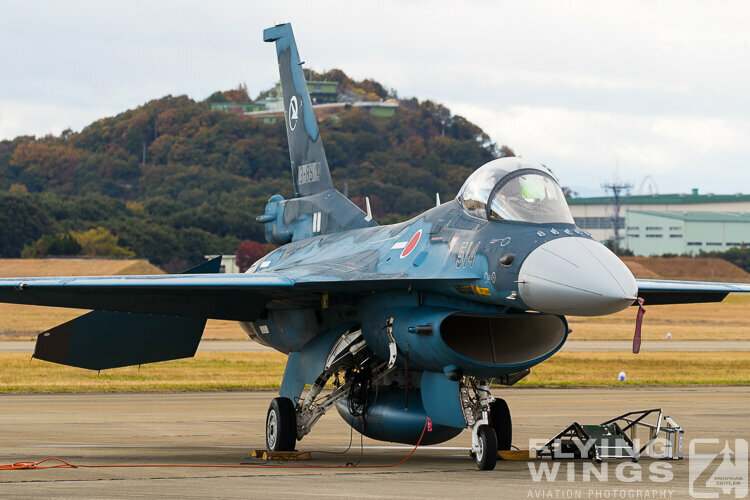 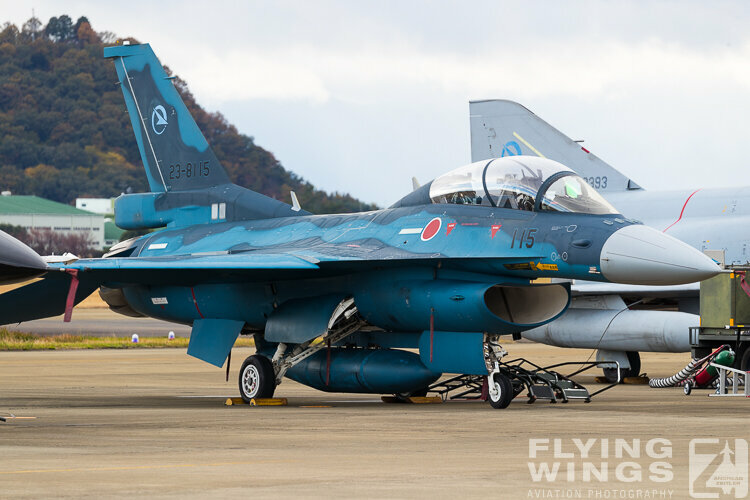 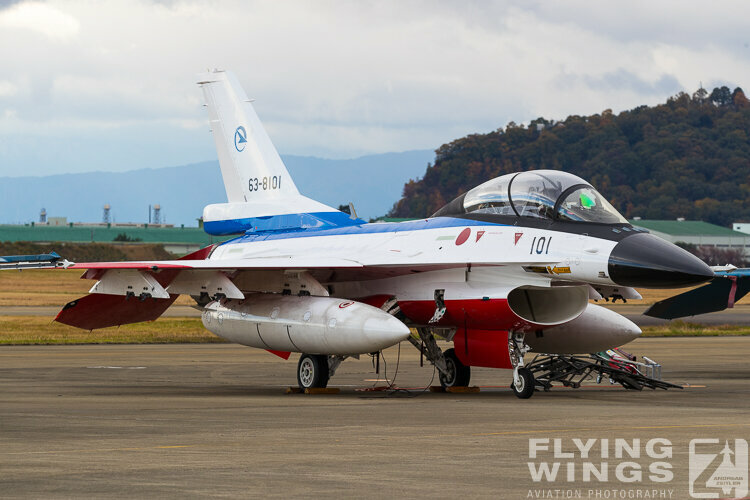 Today it is named Gifu, and is the home of the JASDF Flight Test Centre ADTW (Air Development and Test Wing). 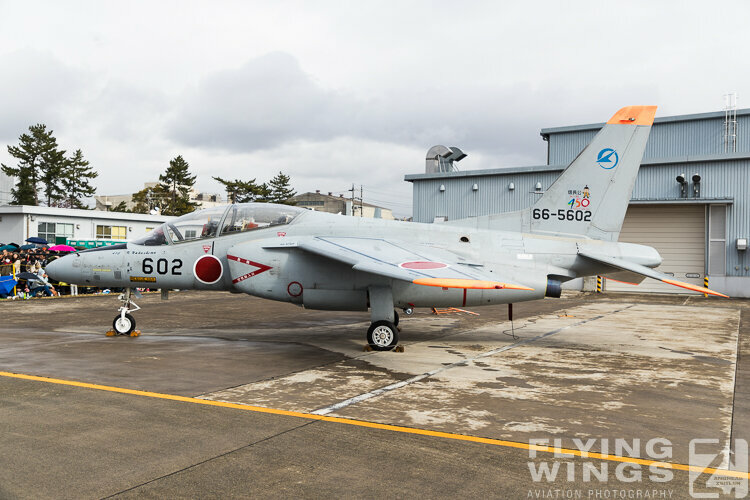 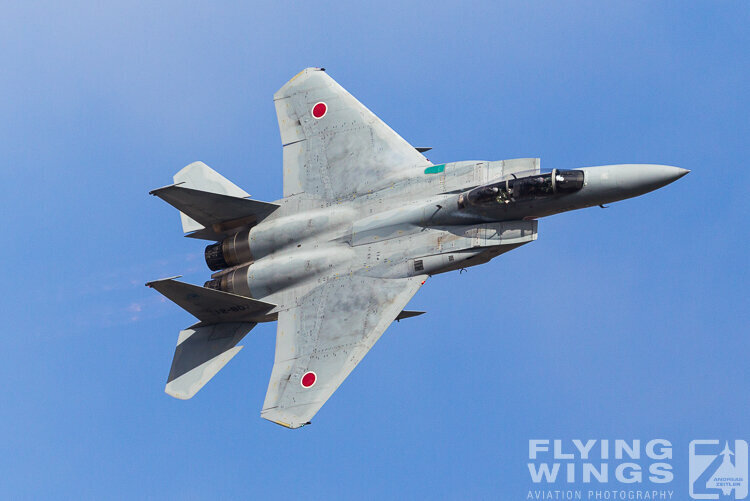 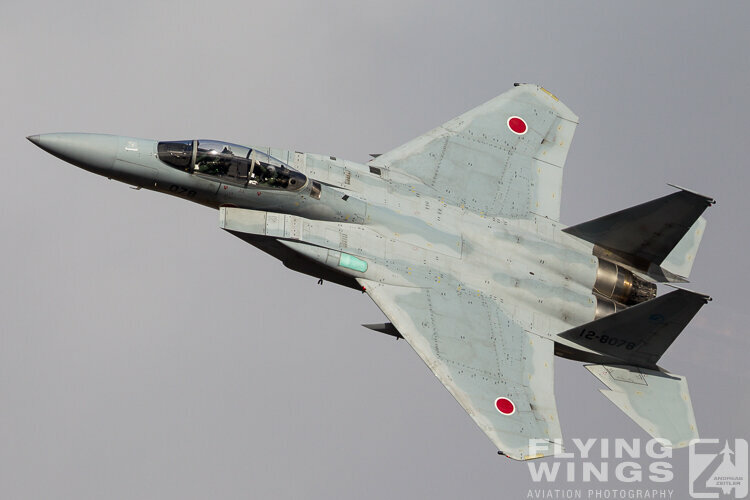 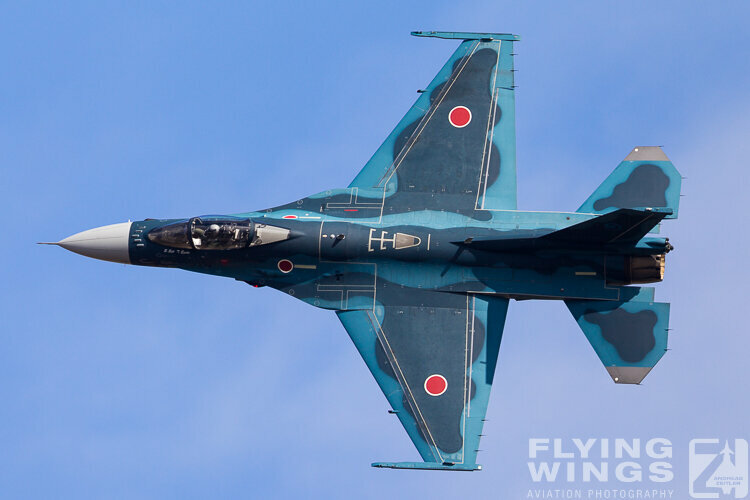 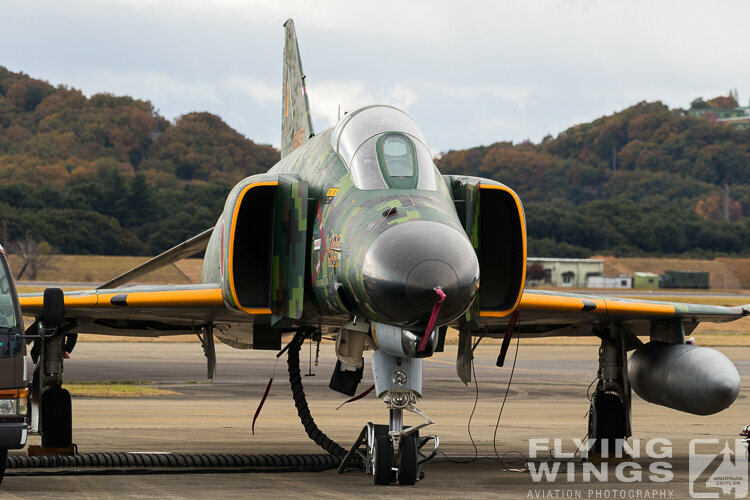 2017 thus saw this wing’s home airfield centenary and was this was the main topic for the 2017 Gifu airshow. 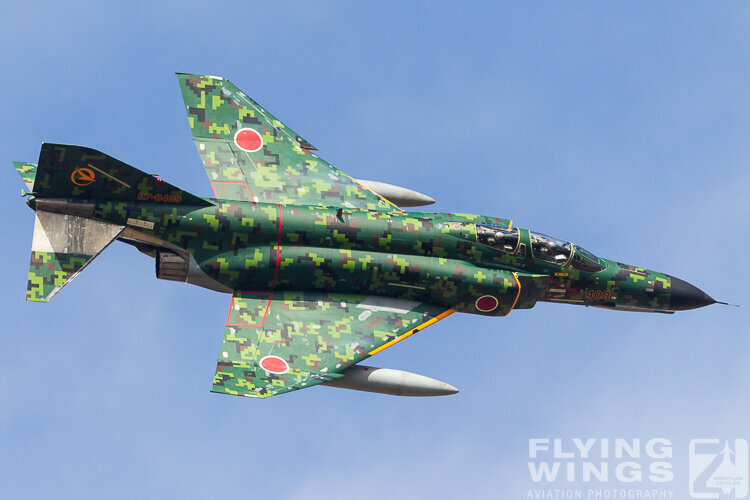 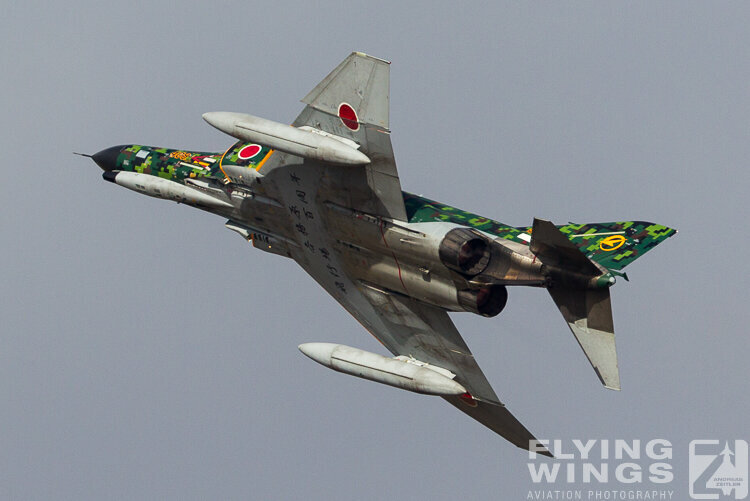 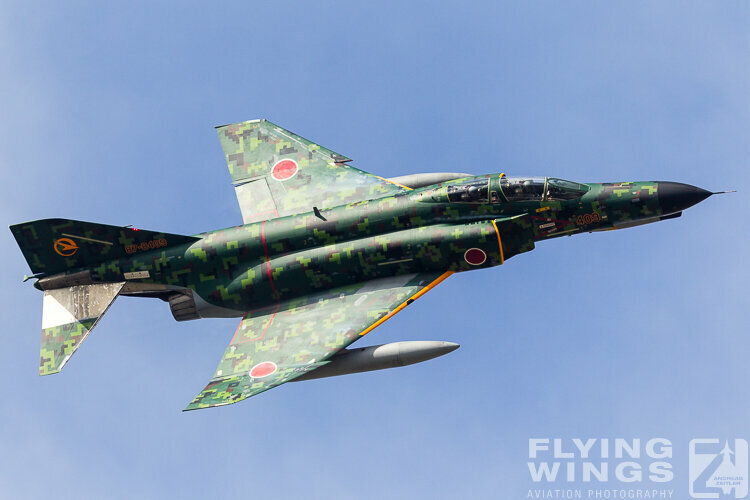 In previous years the ADTW always came up for the airshow with very nice special schemes on its McDonnell Douglas F-4EJ Phantom II, and this Gifu airshow was not different. 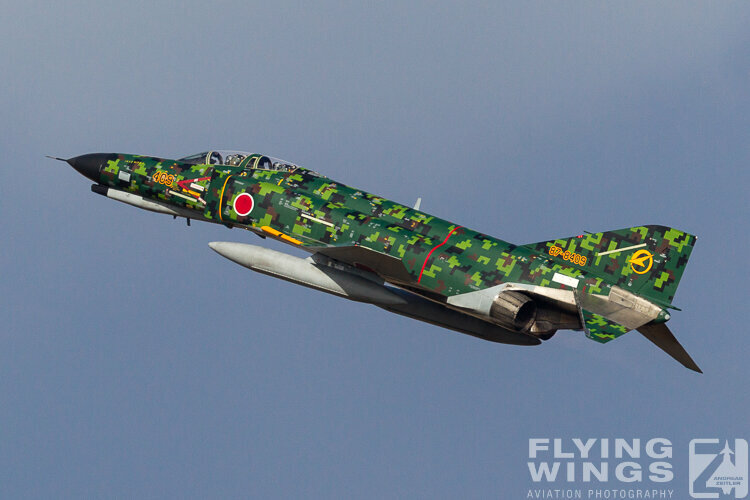 Named „Passion Wind“, the McDD F-4EJ Phantom II, S/N 87-8409 sported an interesting digital - or pixel - camouflage of three greens and one brown. 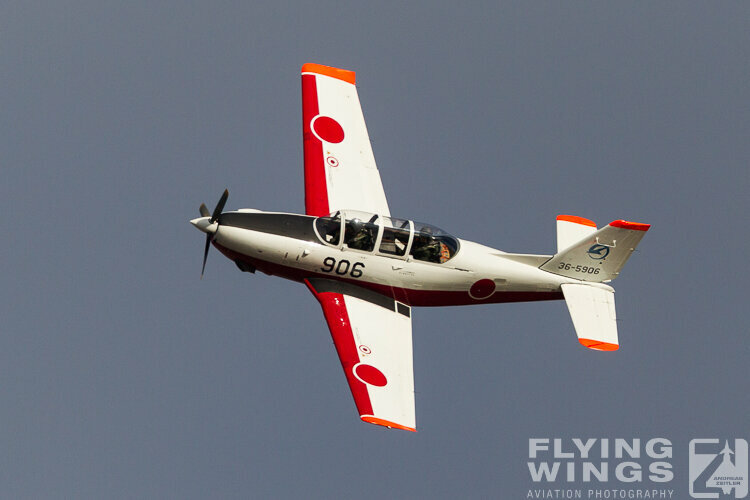 Orange highlights give reference to its use as a flight test aircraft, and the underside sported the slogan „各務原　飛行場　百周年 - or "Kakamigahara Hikou-jyo Hyaku-shunen",meaning "The 100 years anniversary of Kakamigahara air field". 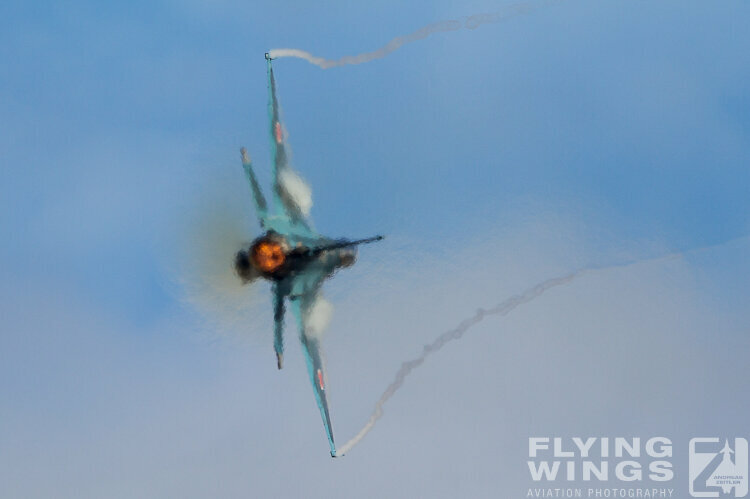 Unfortunately the rest of the airshow was not that spectacular this year. 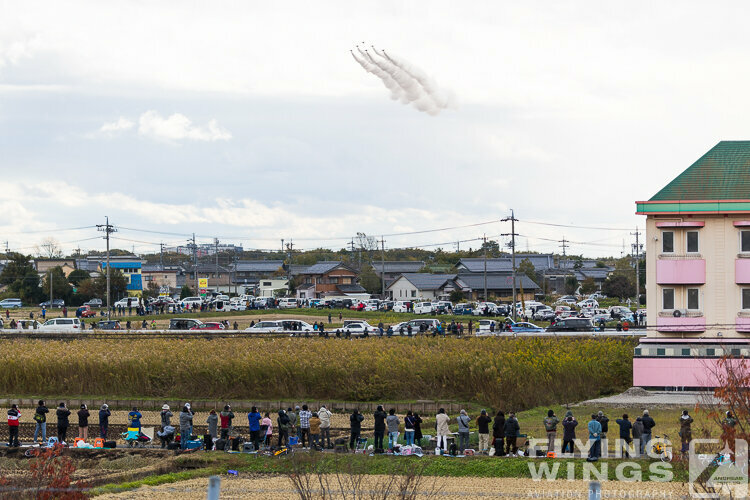 With the attendance of the JASDF aerobatic display team Blue Impulse and the Red Bull air race winner Yoshi Muroya the Gifu show 2017 draw a huge crowd, but the weather spoiled it a lot. 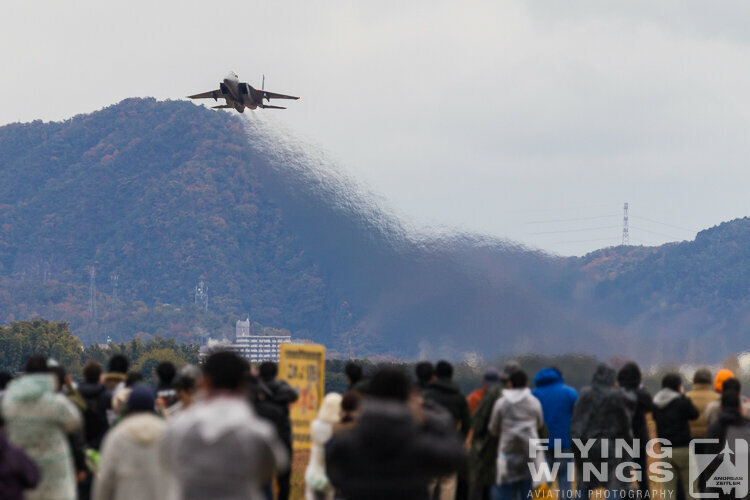 Cold air coming down from Siberia fought with rain coming in from the Pacific Ocean, and in the end somehow both succeeded in the Gifu skies. 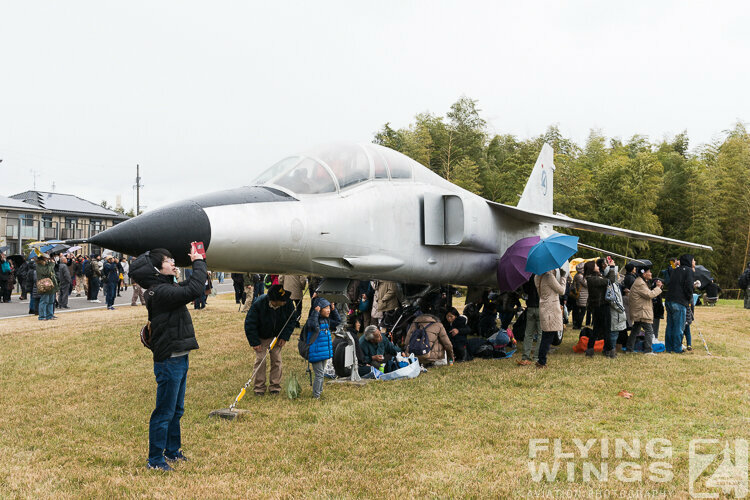 Luckily in the early morning the sun was still out for the flying demonstration of the ADTW’s aircraft: the special colored F-4EJ Phantom, F-15J Eagle and F-2 Viper Zero all had their glimpse of sun. 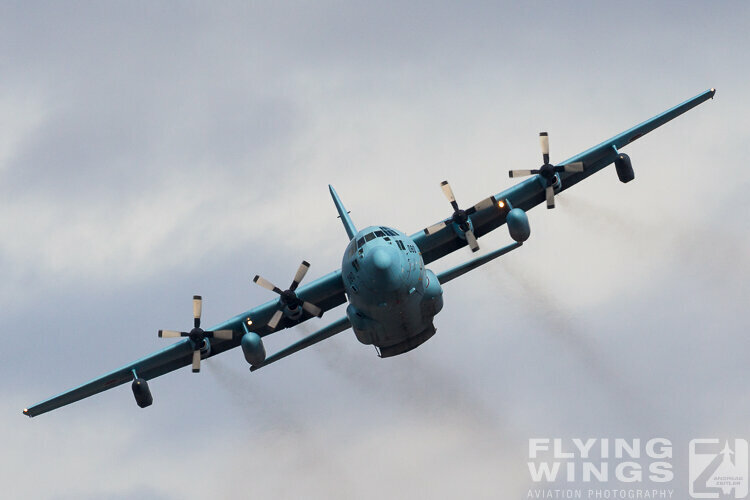 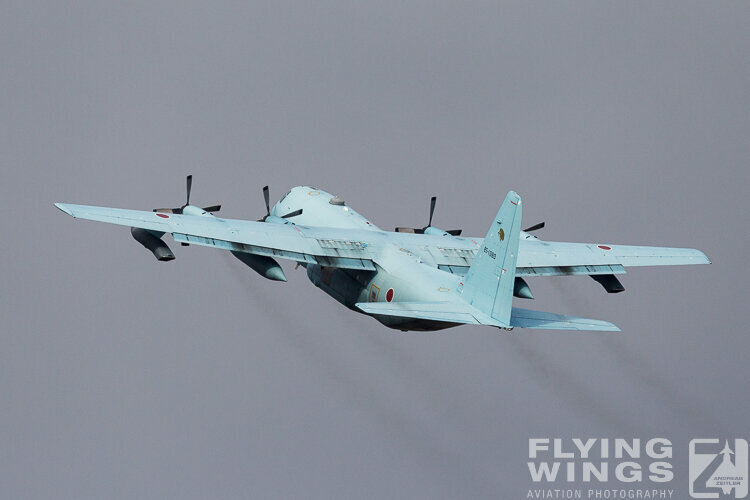 Also a T-7 gave a short display presentation, and a Komaki-based C-130H Hercules came over for some fly-bys. 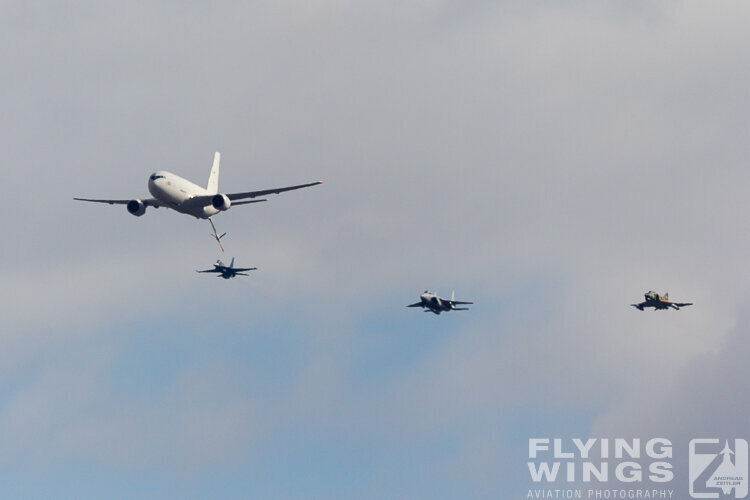 Then the three fast jets joined a KC-767 tanker aircraft for another formation fly-by and after they have left the formation, the KC-767 was literally thrown around the circuit and presented very nicely. 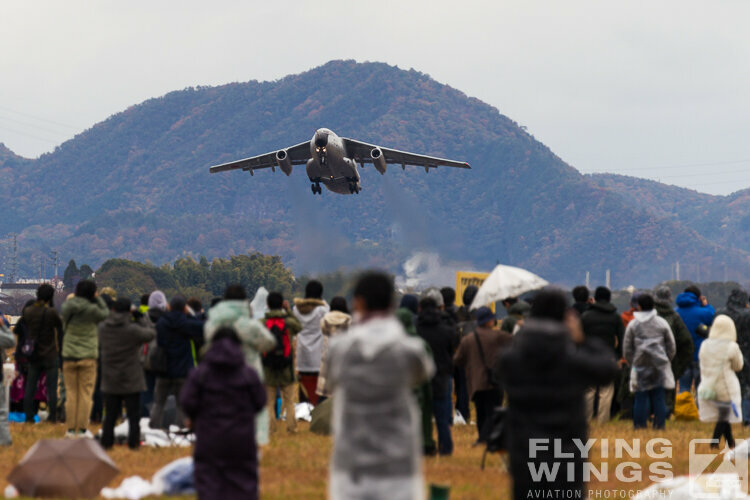 But already at that time in the morning the gliders and a T-4 announced for the flying program were missing. 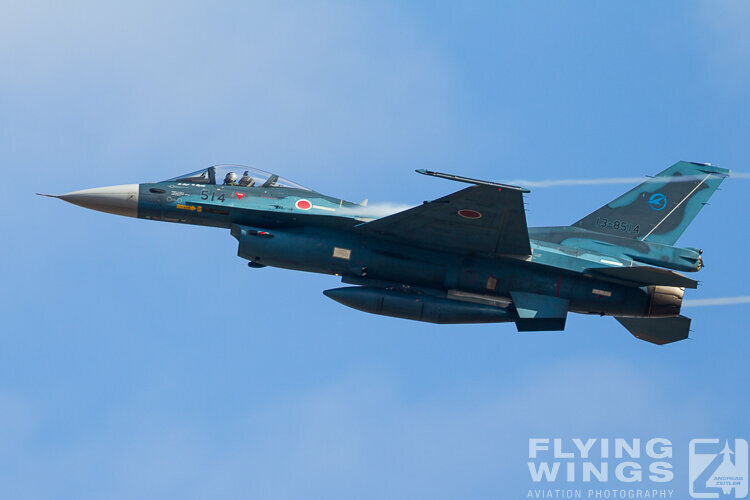 And just when the flying display finished with the jets, the morning sun was gone for the rest of the day. 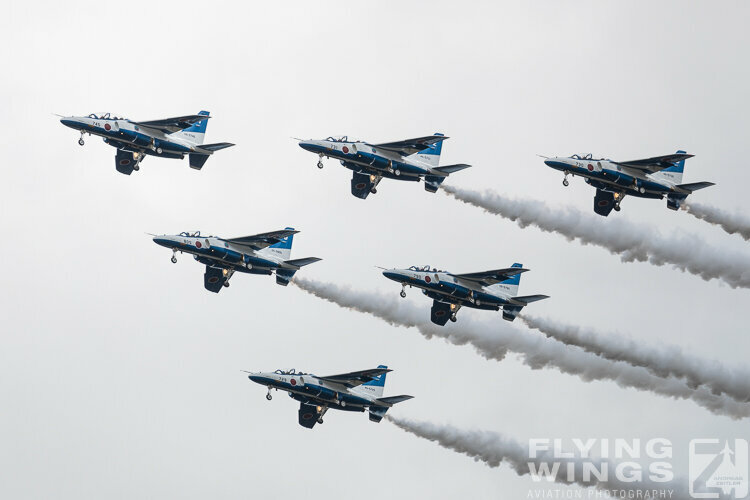 For the Blue Impulse aerobatic display team the clouds were so low, that they could only perform some low level fly-bys in formation. 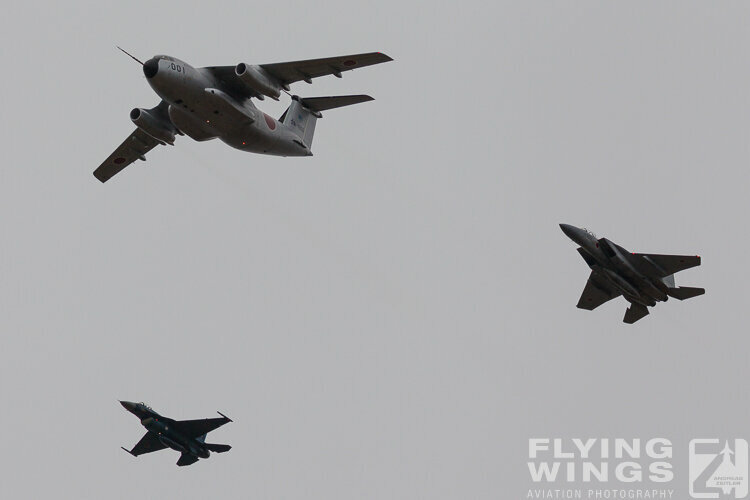 As photographing them against a grey and dull sky from the outside, which is the preferred place to get some nice photos of the flying display, was not worth it, getting on the airshow ground was a viable option. 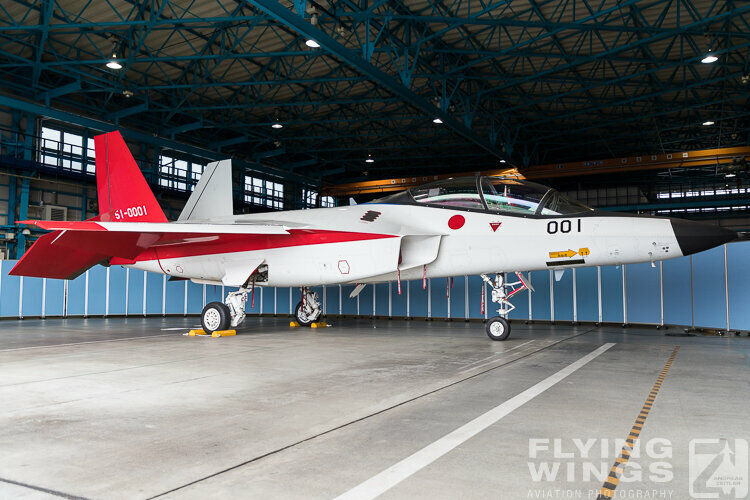 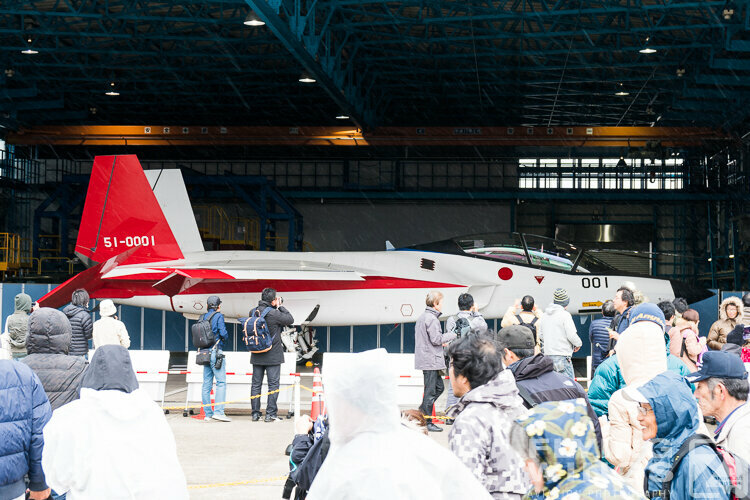 Another queueing effort was necessary to get a glimpse of the Mitsubishi X-2 „Shin Shin“ (formerly ATD-X) technology demonstrator aircraft in one of the hangars. 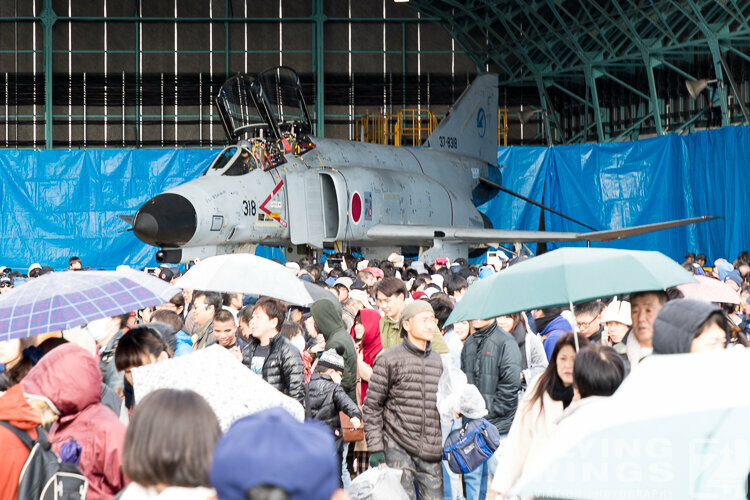 Other hangars also held exhibitions with weapon presentations on the F-4EJ Phantom and F-15J Eagle, but these were so full of people seeking shelter from the weather, that it was also impossible to get through. 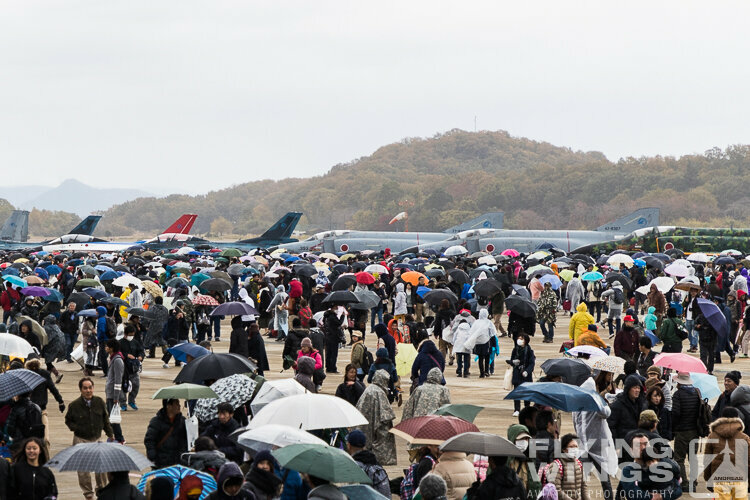 Those still waiting outside in the cold did line up along the fence line to the active apron in as much as ten rows even though nothing was going on. 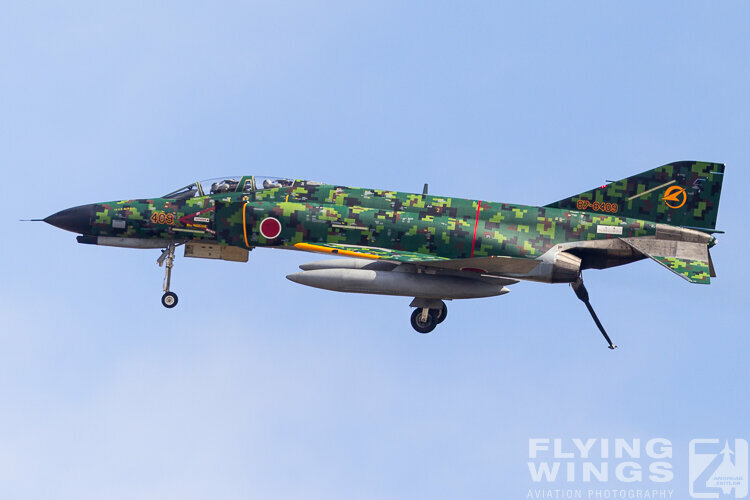 So photos of the aircraft parked for the flying display were also hard to get. 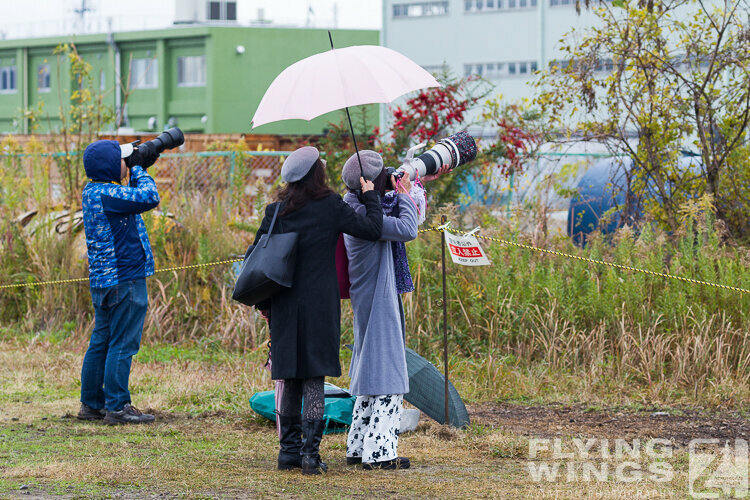 For the afternoon flying I tried out the other viewing area on the Southern side of the airfield. 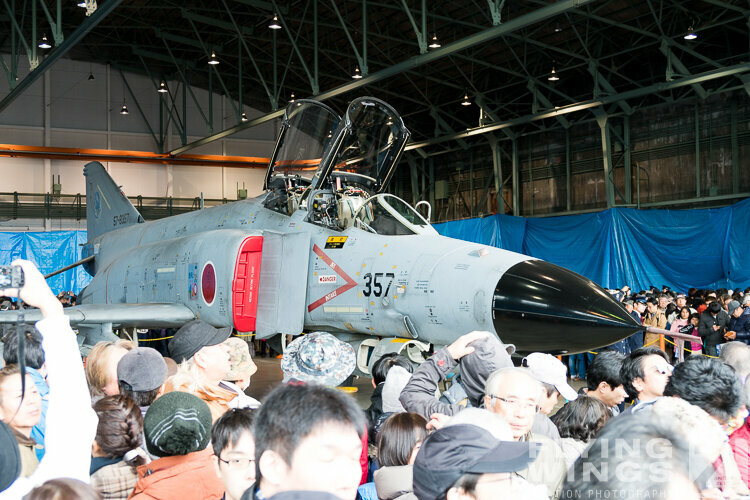 It offers food stalls, souvenir shops and lesser crowds than the apron. 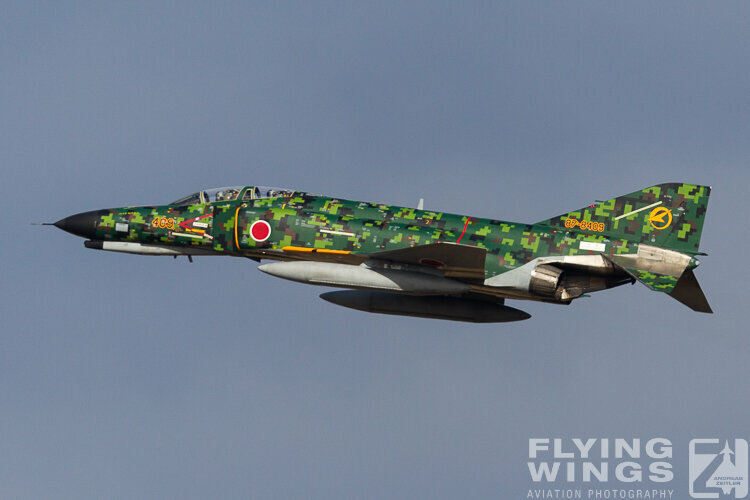 Also it can yield to nice results of the jets taking off and getting of the runway after the display. 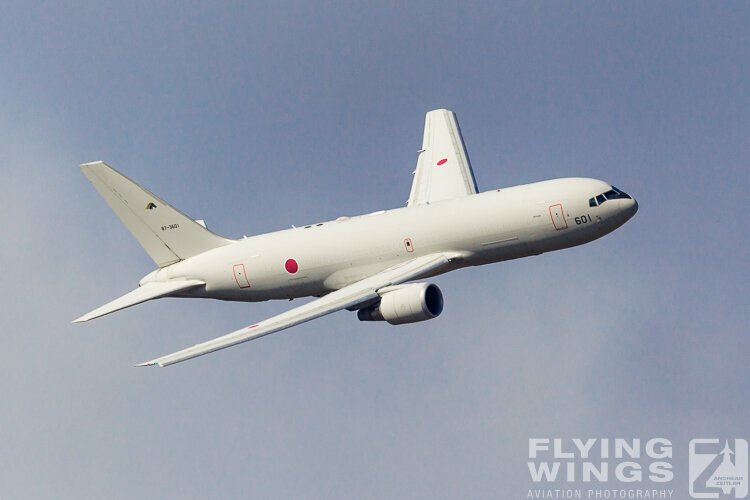 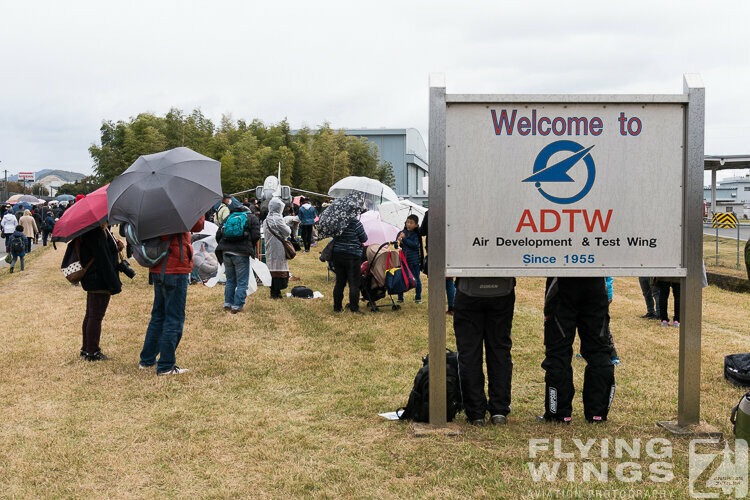 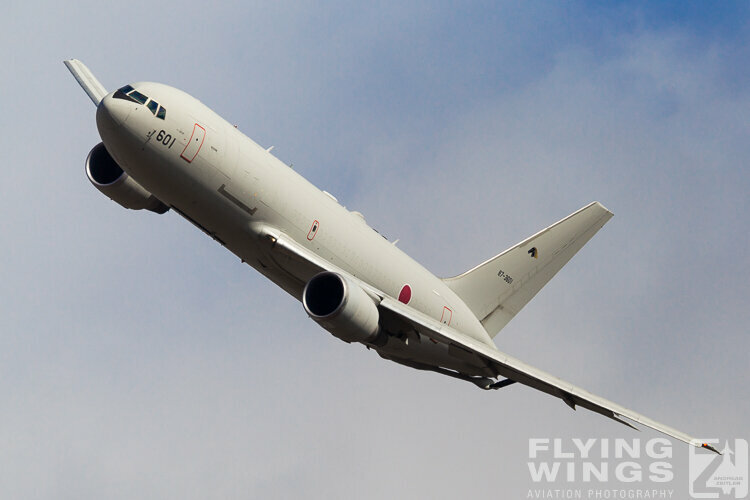 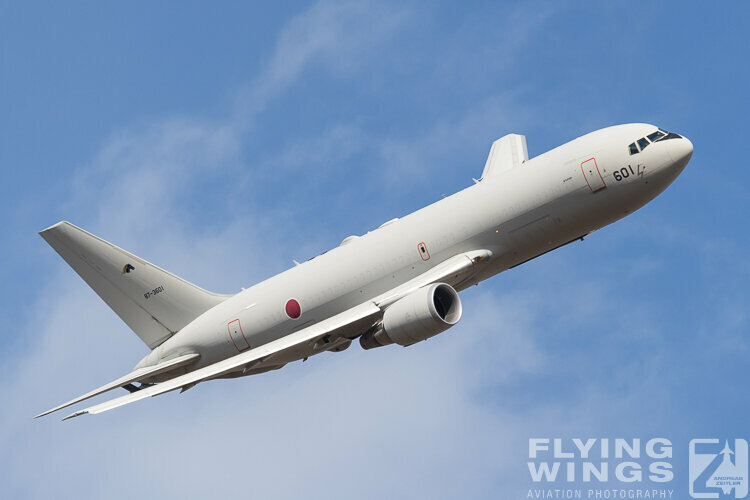 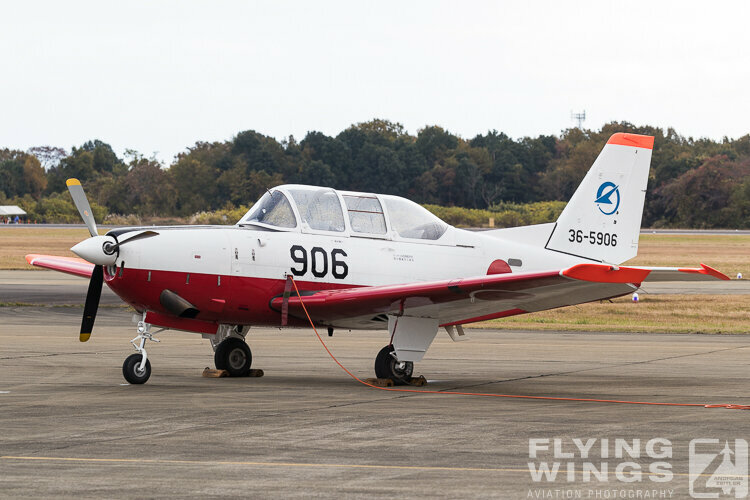 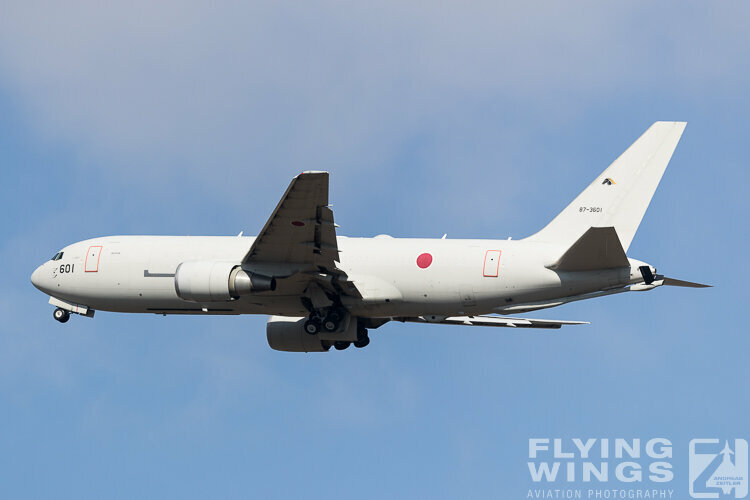 However due to the bad weather the mass formation fly-by of ADTW aircraft, which can be regarded as a trademark for the Gifu airshow, was disappointing. 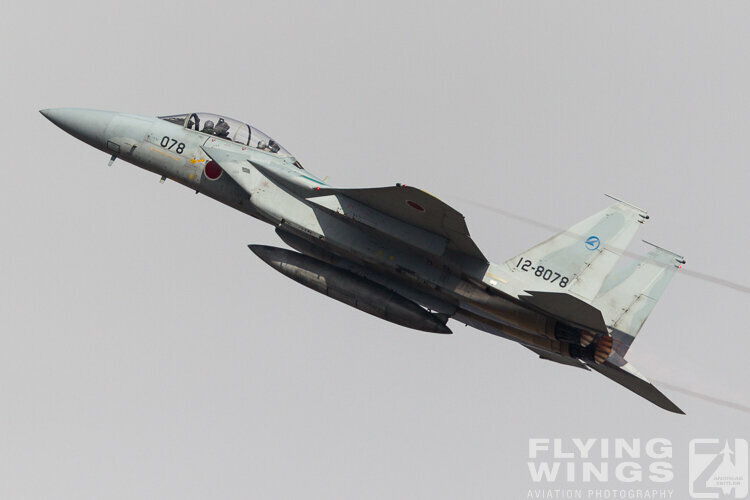 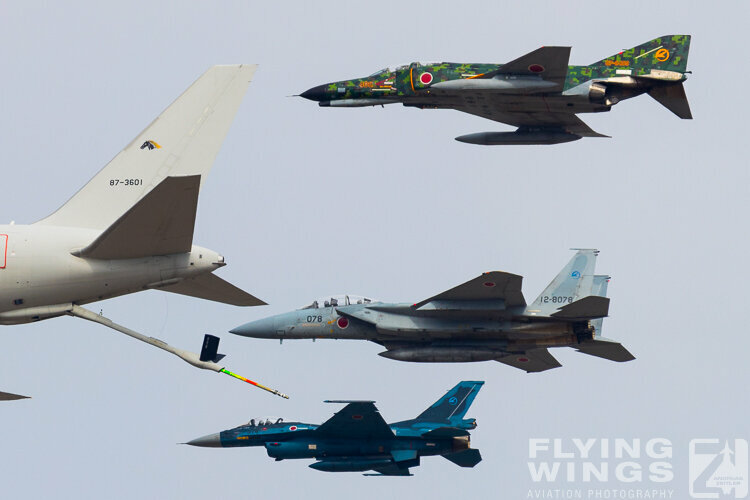 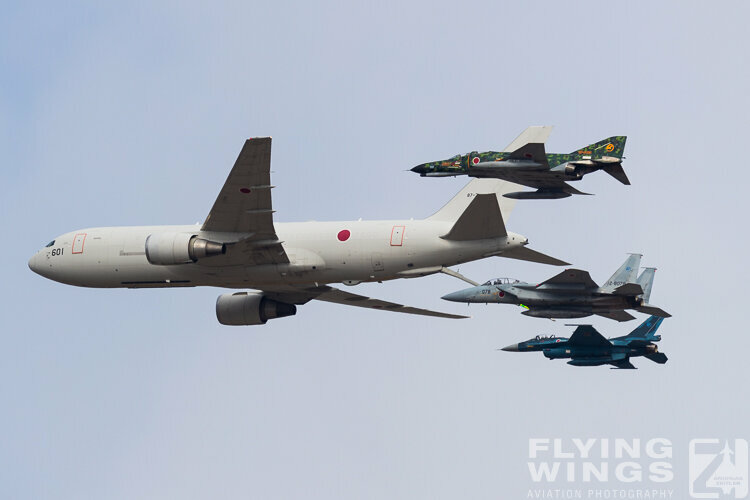 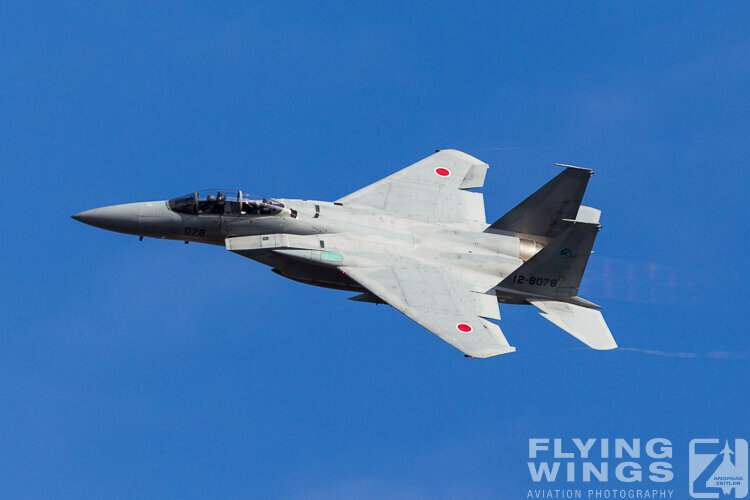 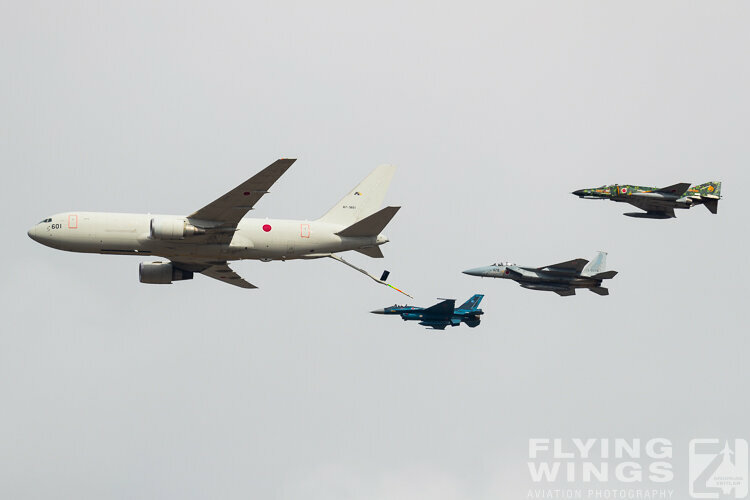 Compared to previous years with up to 10 aircraft, this time only the Kawasaki C-1 FTB (Flight Test Bed) flew in formation with an F-2 and an F-15. 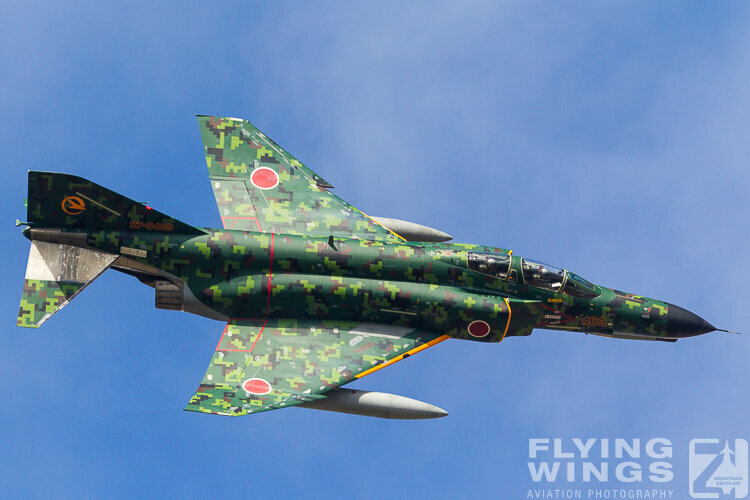 T-4s stayed on the ground, as did the F-4EJ Phantoms. 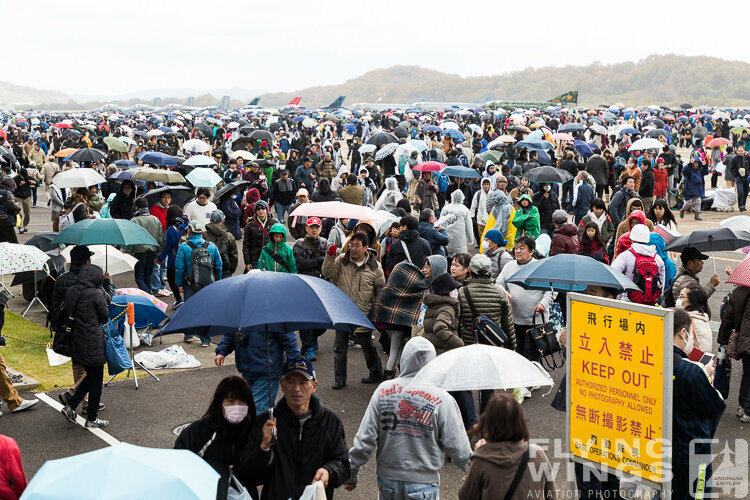 This was the sign to leave early before the rest of the crowd, hit the road and avoid possible traffic jams. 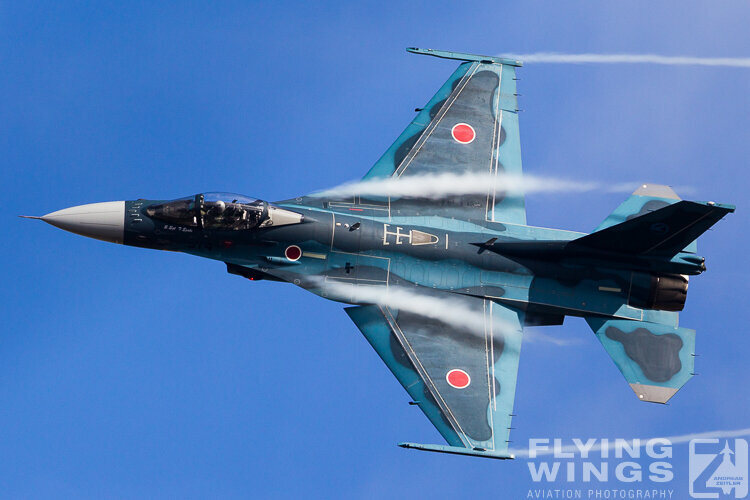 It was 2pm and the show was over, time to get out and off to the next location.